Race-Line complete steel exhaust system kit. 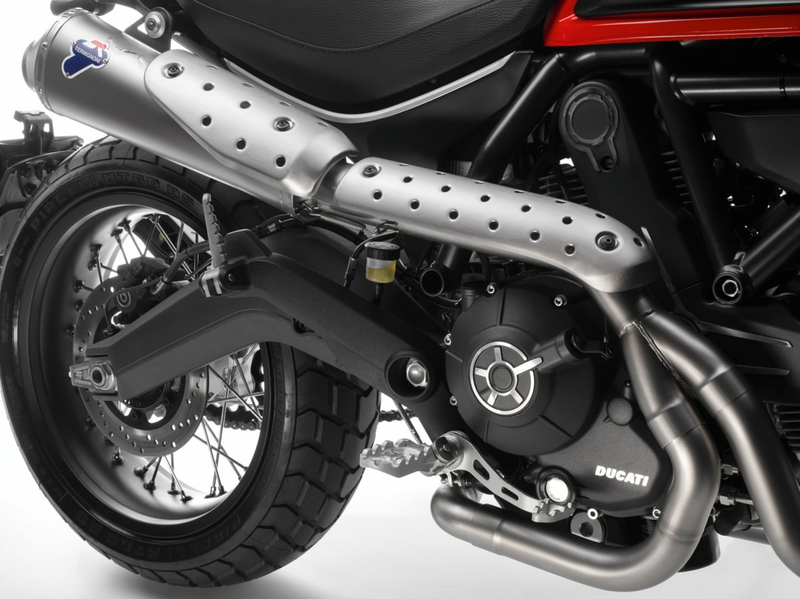 Produced by Termignoni; the raised 2 into 1 exhaust pipes and racing silencer with removable Db-killer are a clear aesthetic reference to endurance and flat-track racing. Essential features include its fluid dynamic performance and dedicated mapping, which can be installed using the Up-Map key provided. On Desert Sled part no. 96481371A is required.